Three people were killed Saturday in clashes between Kurdish rebels and a rival Kurdish Islamist group in southeast Turkey near the Syrian border, a local governor’s office said. The initial death toll given was two but the local governor's office in the southeastern city of Sanliurfa later said one of the three injured died in hospital, Agence France-Presse reported. Tensions have escalated in the town of Cizre since Friday night when the Sunni Muslim Huda-Par group attacked tents belonging to rebels of the outlawed Kurdistan Workers’ Party (PKK), a security source told Agence-France Presse. The two deaths were attributed by Dogan news agency to be the father of a leader of the Islamist party and a 19-year old Kurdish youth. Huda-Par is known to be the political extension of Turkish Hezbollah and has long been hostile to the PKK -- which has fought Turkish security forces in a three-decade insurgency for Kurdish self-rule. The clashes in Cizre were continuing sporadically, the source said. 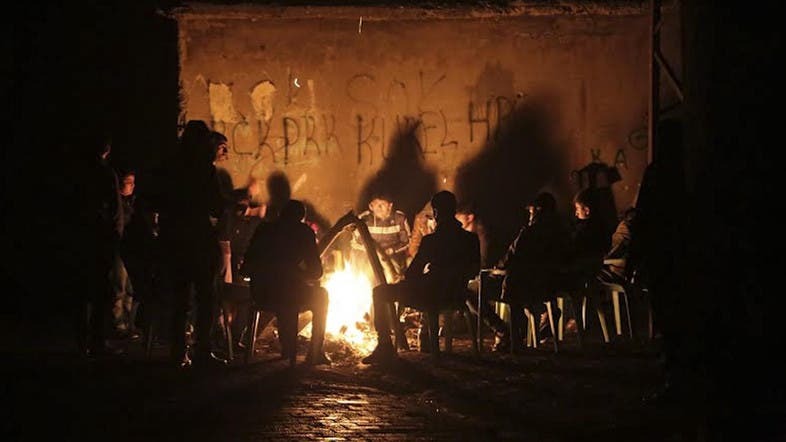 Relations between the two groups have been tense since October, when Kurds - angered at what they said was Turkish impediment to efforts to defend the Syrian town of Kobane - clashed with police and the Islamist group members across Turkey. More than 30 people were killed in the rioting. The trouble has raised fears that the standoff over Kobane could derail talks between the Turkish government and the PKK for a peaceful settlement.